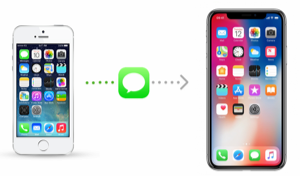 How to delete photos from iPhone? 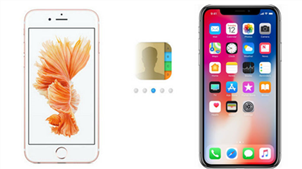 This guide will tell you one fast way to delete all photos from iPhone XS (Max)/XR/X/8/7/6/6s/SE/5/5s/5c at once. 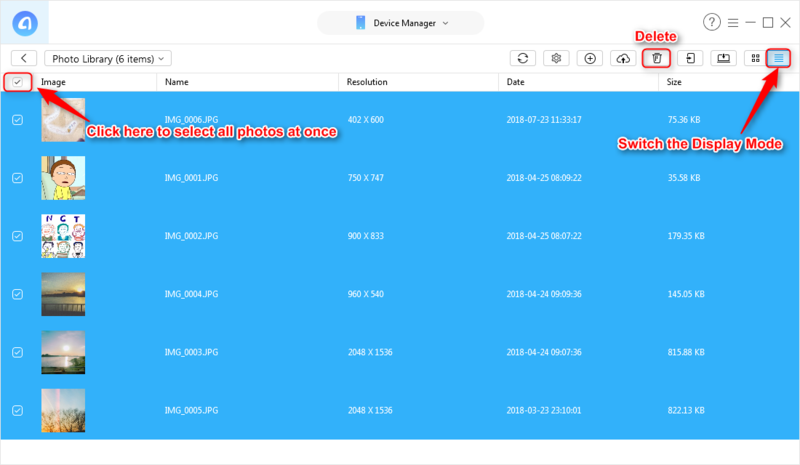 This easy-to-use tool can help you delete photos from iPhone XS (Max)/XR/X/8/7/6/6s/SE/5/5s/5c/4/4s effortlessly. Download it now and follow part 2 to remove unwanted pictures. Have too many high quality photos taken with your iPhone stored on your device can quickly eat up your limited iPhone storage. To free up more space on iPhone, you might need to delete some or all of your photos from it. Deleting photos from iPhone should be as easy as buying a cup of coffee, however, there is no “Select All” option on iPhone. We are here to help. 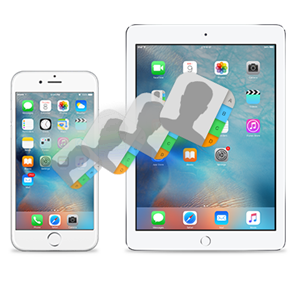 In this guide, we will show you two ways to delete batches or all of the photos from your iPhone. You can manually delete batches of photos from your iPhone, but iPhone won’t allow you to remove all photos in just one click. Step 1Go to Photos app on your iPhone, click on Photos tab. Step 2Here you can view your photos by Years, Collections, and Moments. Tap on Select in the top right. Tap on Select option on the right upper hand, then choose the photos you want to remove. Step 3Click on the Trash Can in the bottom right. 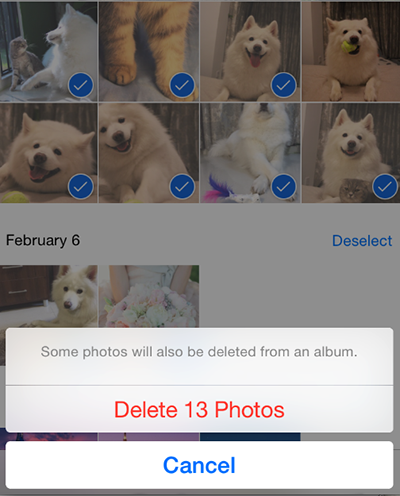 Confirm that you want to delete the photos from iPhone. 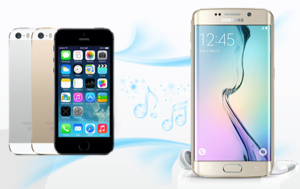 People are fond of taking photos with their excellent handy iPhone. 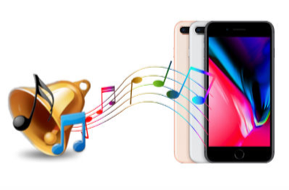 It’s a common place that you might have hundreds or even thousands photos on iPhone, so it would be a tedious work to manually delete images from your iPhone. 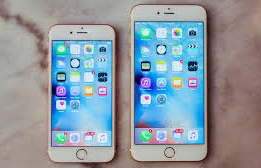 Keep reading on the part 2 to find out a fast way to delete all photos on iPhone. 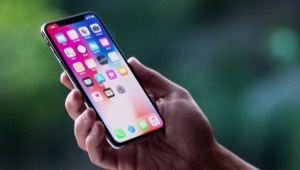 Because limited by Apple Company, iOS users cannot use any third-party software to delete all photos from iPhone directly, especially lots of photos from Camera Roll and Photo Stream, but you can easily make it on a Windows computer. Step 1Open up AnyTrans on your Windows or Mac computer > Choose Device Manager in the pull-down menu > Switch to Category Management. Step 2On the homepage, click on Photos to enter the photos manage page. 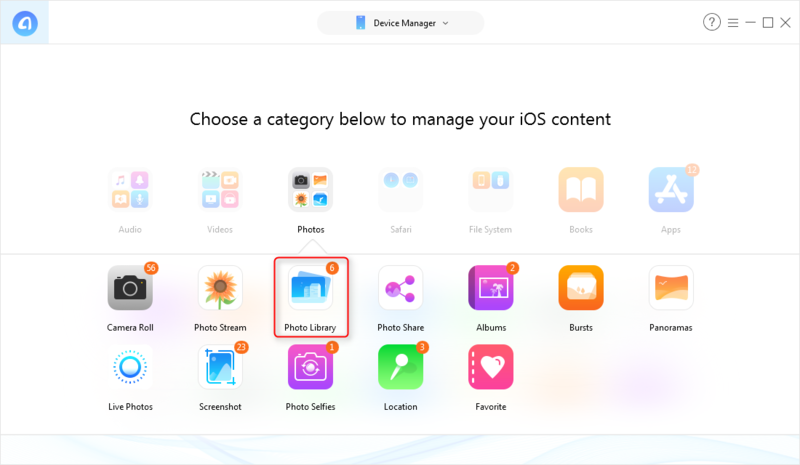 Select one category; here take Photo Library as an example. Click on Photo Library. Step 3Here you can preview and select the photos you want to delete, then click on the trash icon on the right hand corner. 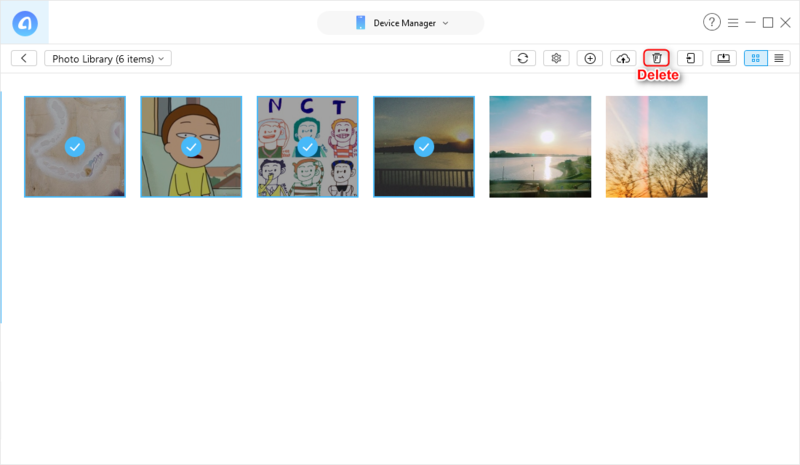 You can Ctrl + click the photos to select multiple photos or Ctrl + A to select all photos to delete. To delete all Photos on your iPhone, switch the display mode on the right hand, and select the check box on the top left-hand, then click the trash icon on the upper right corner. Remember to back up your photos before you remove them from your iPhone, and AnyTrans is the fastest way to back up and delete pictures from your iPhone. Why not have a try on it now? If you have any questions on this guide or AnyTrans, please be free to let us know in the comment section.